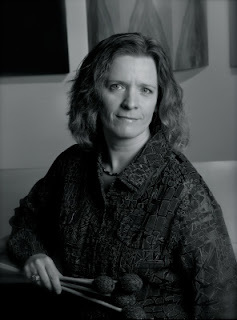 We’re looking forward to welcoming all-star contemporary percussionist and UB alumna Patti Cudd to the University at Buffalo later this month for an exciting two-day residency. Her visit here will kick-off with the Hiller Computer Music Studios annual Electroacoustic Black Box concert in the Black Box Theatre in the Center for the Arts on UB’s North Campus, at 7:30 p.m., on Wedesnday, March 27th. 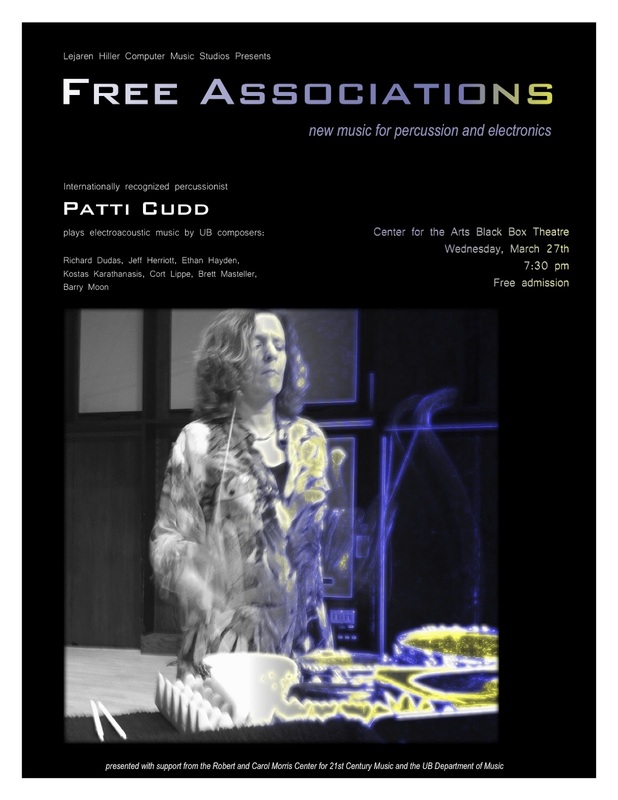 For the concert, Cudd will perform a program of pieces for percussion and electronics written by University at Buffalo composers, both past and present. The next day, Cudd will give a master class to UB graduate percussionists where they will discuss and workshop approaches to performing and interpretting contemporary percussion music. “The Hiller Computer Music Studios of the UB Department of Music will present its annual spring "Black Box" concert of electro-acoustic and computer music next month, featuring works for percussion and electronics played by internationally recognized performer Patti Cudd. A member of the new music ensemble Zeitgeist and professor of music at the University of Wisconsin-River Falls, Dr. Cudd has given concerts and master classes throughout the United States, Korea, Thailand, China, Mexico, and Europe and has worked closely with some of the most innovative composers of our time, including Brian Ferneyhough, Morton Feldman, Roger Reynolds, Pauline Oliveros, John Zorn, and Frederic Rzewski. “This year's black box concert will feature pieces by composers from throughout UB's history, including works by current and former faculty, students, and alumni. Dr. Cudd herself received her Master of Music Degree at UB, where she studied with percussionist Jan Williams. A wide variety of pieces for a wide variety of percussion instruments will be performed. UB associate professor Cort Lippe's Duo for Cajón and Computer is composed for the titular Afro-Peruvian instrument, a box-shaped drum on which the performer sits and plays by striking the box's front face with her hands. Current Ph.D. student Ethan Hayden's In Wahrheit saß ein buckliger Zwerg darin… is composed for the kalimba, a hand-held thumb piano from the Sub-Sahara. Works by UB alumni Jeff Herriott and Brett Masteller take two very different approaches at expanding the repertoire for bass drum and electronics while alum Barry Moon's Snare Alchemy explores and expands on the timbres of the solo snare drum. Former UB visiting professor Richard Dudas' piece will feature, among other instruments, the West African djembe, and rounding out the program will be an electroacoustic piece by alum Kostas Karathanasis entitled Trittico Mediterraneo.